From Czars to Stars: Hermès has always stood for quality and style. 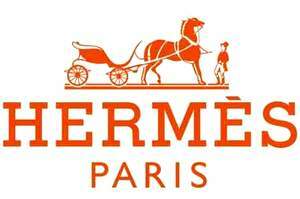 Established in 1837 Hermès, is a French high fashion brand specializing in leather, accessories, and luxury goods. The Hermès family were originally saddle makers and expert craftsmen producing leather goods for the Royalty of Europe. The family put this tradition into making high-end handbags in 1922, the most famous Sac à dépêches was introduced in the 1930's, later to be renamed as the "Kelly Bag" for its most famous owner, Grace Kelly. 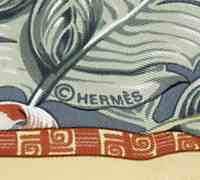 Also in the 1930's Hermès started producing the Hermès carré their signature line of scarves. Over 70 years later the Hermès scarf remains a style icon. Worn by royalty and celebrities, coveted and admired, and now avidly collected, this beautiful square of silk is much more than just a accessory, it is a staple of high fashion and a part of French culture. Hermès has produced more than two thousand different designs. From the classic scarves with traditional Hermès equestrian designs to more contemporary stylings they are always creatively designed, richly coloured, and meticulously made. Every scarf conveys a mood and each tells a story. They are truly a work of art. A Hermès scarf is always a good investment, perfect to make a style statement and a treasure to own. As soon as a design is made it is an instant collectable. 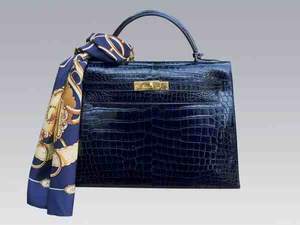 With a thriving resale market, online auctions and constant demand there are many counterfeit Hermès scarves on the market. Many scarves may say Hermès Paris on them but that does not make them genuine. There are some very detailed guides in books and online to help you spot the fakes. Take the time to educate yourself so you are only buying an authentic product. When shopping for a scarf the only guarantee you will get is from a Hermès Boutique. If you are not familiar with the Hermès scarf designs and their names, then take time to learn about them before you buy. 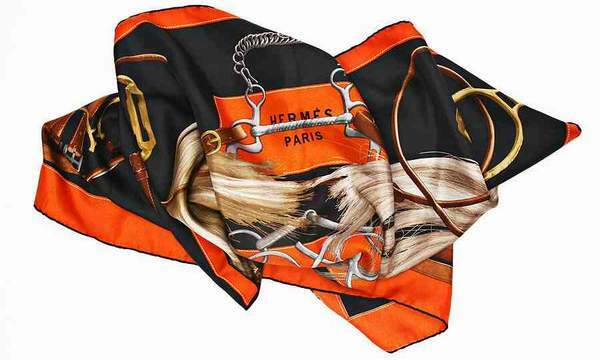 You can check with the official Hermès web site (as well as reference books) and other scarf collector websites. Many newer fake scarves are copies of Hermès designs, produced in colour combinations that were never made by Hermès. Never buy a scarf with multiple Hermès Paris marked in the border, as they are not genuine. 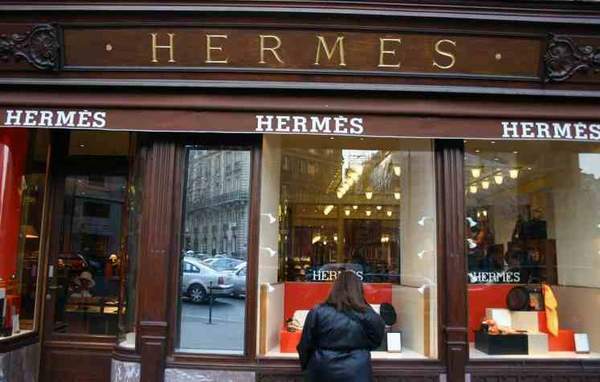 Hermès is always spelt with the accent, not Hermes. 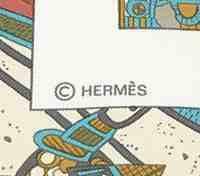 Hermès scarves produced in the last 25 years always have a copyright mark. Check how the scarf is folded. Hermès only comes folded to fit in their signature square box. The care label can tell you if the item you are looking at is genuine or counterfeit. Hermès labels are only in English and French. If the label says SETA, REINE or SEIDE, then it is a fake. The label should only ever say: FABRIQUE EN FRANCE 100% SOIE, MADE IN FRANCE 100% SILK, DRY CLEAN ONLY. Vintage folded labels may just say: 100% SOIE. Labels are always in the corner of the scarf. Labels are only sewn in by three of their corners, older vintage labels may be folded and only held in by two of their corners. If the label is sewn into the body of the scarf, on the front or away from the corner then it is fake. Labels on genuine scarves are only black on white or since 2002 may be white or gold on black. Remember, if a deal is too good to be true, the item is most likely counterfeit. The best way to protect yourself and to avoid paying designer prices for cheap reproductions is to arm yourself with as much information as possible before you bid or buy. If you buy a genuine Hermès product chances are you will have it for years and years, enjoying its unmatched quality and classic style.